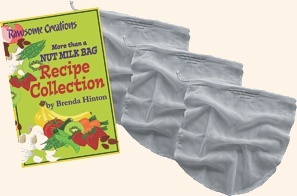 Get this essential piece of raw food equipment from the source -- maximize the benefit to Brenda's Balinese friends. Helps users make perfectly round wraps and tortillas. Good friends Gwyneth, Matt and Galadriel tap their 5,000+ sugar maples each year to provide us loyal fans with wonderful family grown organic Vermont maple and I love it! Offering unsulfured golden Himalayan raisins, Himalayan salt, and a variety of coconut products. Authentic source of high quality Taiwanese and Chinese teas. Beautiful website. Treat yourself to the best green tea. These guys provide the never-blinking vigilance required to keep food free and honest. Community Supported Agriculture is an arrangement between farmers and their customer that helps finance the former while securing a reliable supply of healthy food. Often CSA members pre-pay, thereby providing funds to the farmer for seeds and amendments. In return, members usually get a weekly box full of delicious produce. Used this website to find a CSA near you. This website, posted by raw food chefs Diane Haworth and Michael Varbaek post is a favorite place to go for inspiration and food ideas. Brenda had the distinct pleasure of showing Chef Marvin the elements of raw foods, and he's on fire with it! If we cooked, these are the pots we'd use. The SaladMaster is a pretty cool prepping tool all by itself. Michael helped from beginning to end to assemble the book, make it accurate and elegant, and shepherd it through the printing process.